Between 1 house, 3 apartments, and a condo in the last few years, I’ve had to tame the pack-rat habit, since everything I had would eventually have to be boxed up again and carried. The result of the minimalist moving approach is that when you finally settle down, you’ve pared your belongings down to the bare minimum, and the bare minimum does not usually include any type of decorations. A couple of friends recently decorated their walls with amazing paintings of Jesus and that inspired me to start decorating my home with a nod towards my faith. I’m not saying that my doorbells have to play a hymn when they ring (although that would be pretty cool) but I did want to have pieces of art around my house that not only reflected my beliefs, but reminded me of Jesus whenever I look at them. I decided that the first piece I would buy would be a cross. Having never purchased a cross before, I had no idea what to even look for. Fortunately, Google saved the day when my search for “wall crosses” directed me to Celebrate Your Faith. After landing on Celebrate Your Faith (www.celebrateyourfaith.com) it was easy for me to know where to go since their navigation is clear and easily located near the top of their site. I already knew that I wanted a wall cross – I was thinking of something with wood or a brushed chrome metal, but wasn’t exactly sure which. I also knew I wanted something simple and elegant and not flashy or ornate. After clicking on “Wall Crosses”, I was able to drill down even further to view the crosses by material (aha! 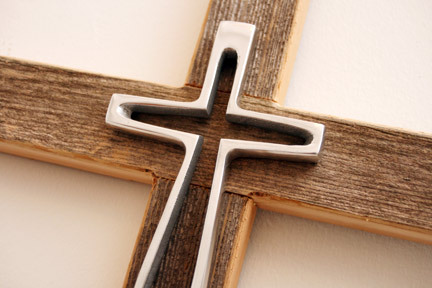 “Wood Wall Crosses”) or to view all of the crosses at once. I started with the Wood Wall Crosses and my efforts were rewarded when I saw the Defined By Christ Wall Cross. It was exactly what I was looking for and suited my style perfectly. Imagine my delight when I discovered that this cross was hand made of barn wood and then prayed over when it’s done. That is completely awesome. And the icing on the cake was that the cross was just $35.00. I placed my order on March 5; on March 10 I received confirmation of shipment and on March 12th, I had opened the box and my brand new cross was installed proudly in my entry way. A note that came with the cross told me that because of the nature of the materials used (not all barn wood looks exactly the same) my actual cross wouldn’t look exactly like the cross in the picture. It’s true, it doesn’t, but that’s what gives my cross it’s own uniqueness. That’s what makes it special. Here’s a close up so you can see the craftsmanship and “artisanship” that went into the cross. I’ll admit that as I was shopping for my cross, I did happen to notice a couple of other sections of the website, especially the “Religious Jewelry.” I’m not one to wear a lot of bling, but I do wear a cross necklace and I thought it might be nice to see if there were any other pieces that suited my style that I could start wearing. 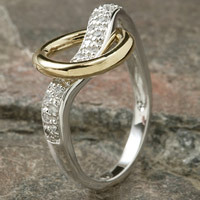 Once again, Celebrate Your Faith exceeded my expectations by offering a multitude of ring options. Whether a a purity ring or a scripture ring, there were a variety of styles, types of metals, and price ranges to choose from. 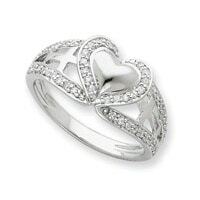 Within a matter of clicks I found the perfect ring when I saw the Pure Heart Ring. * drool* My second runner up is the Circle of Friendship ring, which I would wear to show my love for my best friend – Jesus Christ. 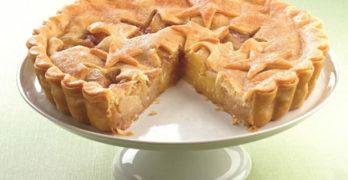 One thing that caught my eye when I was browsing www.celebrateyourfaith.com was the statement that “A portion of our profits support WORLD MISSIONS.” Curious, I clicked over and was amazed at the mission support that Celebrate Your Faith provides. 25% of all of their profits support missions and humanitarion efforts around the world, including missions, churches and orphanages in China, Fiji, Africa, and Russia. When I read that, it actually felt pretty good that with my cross purchase, I essentially was helping to spread the Gospel. Yay! As I read the Celebrate Your Faith story, I was touched by the commitment, the passion, and the faith that their team has. To build a profitable company centered around God is not always an easy task, and it seems that Celebrate Your Faith has figured out the trick – to share their blessings with others. They focus on developing strong partnerships with like-minded people – others who have the same “core values” – and help artisans and designers, share their inspirational art and products.. If you are part of a Christian church, ministry or another type of non-profit organization, you should check out the CYF Circle of Blessings Program, which gives you the opportunity to earn referral commissions and discounts for your organization. Being part of their affiliate program gives people who click through your site a 10% discount and earns your organization 10% in referral commissions. 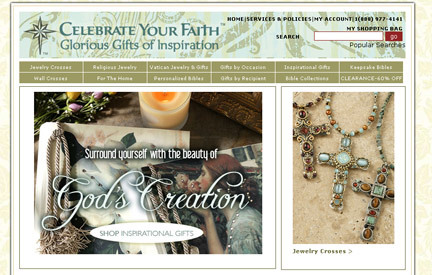 Celebrate Your Faith offers more than crosses and jewelry on their site. They have a great collection of bibles, decorations for the home, and inspirational gifts as well. I was so impressed by the product variety, the quality of the cross I received, and the company that I’ve been telling everyone in my fellowship about the store. Since I know many of you share my faith, I though you all would like to know about the site as well. I encourage you to check it out at www.celebrateyourfaith.com. While you’re there, make sure you check out their clearance section, where they have several items marked 60% off. If When you find something you like, then you can use the coupon WCATDD to receive 20% off your first order (valid through 5/31/10)! You should also check out the Celebrate Your Faith Blog, where they share product information, store specials, mission updates, and other inspirational messages. It’s also the location of the Celebrate Your Faith Giveaway! That’s right! After shopping for my cross, I reached out to Celebrate Your Faith and in addition to the coupon code they’ve offered, they are also hosting a very special giveaway where a lucky reader can win $100 worth of Celebrate Your Faith merchandise! This giveaway is a little different from the others, so make sure you follow the directions carefully. 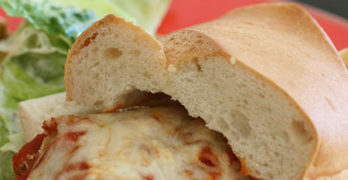 What’s Cooking at DD Celebrate Your Faith Giveaway! One winner will receive a $100 merchandise credit to Celebrate Your Faith! READ CAREFULLY! This giveaway is slightly different than the others. 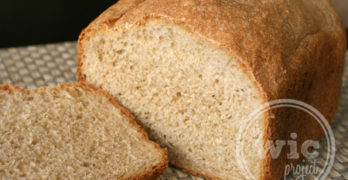 THIS ENTRY IS REQUIRED FOR ALL OTHER ENTRIES TO BE VALID: Visit www.celebrateyourfaith.com and choose your favorite product, THEN visit the giveaway post on the Celebrate Your Faith Blog and comment with that product and tell us why you like it. Use this ENTRY FORM to earn credit for the following extra entries! Disclaimer: This post consists of my (and/or fellow tester) opinions only. Your experiences may be different. No compensation was given for this review/giveaway. This did not affect the outcome of this review. $100 merchandise credit must be used by 12/31/10.